Welcome to one of the most adventurous and unforgettable experiences in Alaska! Nestled on the edge of the Chugach National Forest, this Alaskan lodge and cabin is fully equipped with everything you need to ensure you have an enjoyable and pleasant stay while you explore the great outdoors. The Cordova area provides a unique opportunity to interact with the wildlife and Alaskan wilderness, making a visit to Bears Den Cabins not just a vacation, but an experience. 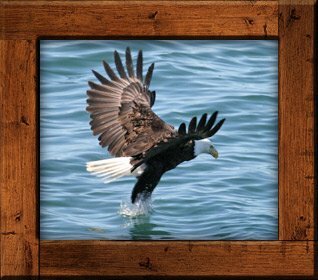 Our cabins are a stone's throw away from the Eyak River, which is surrounded by evergreen trees and home to many bald eagles. 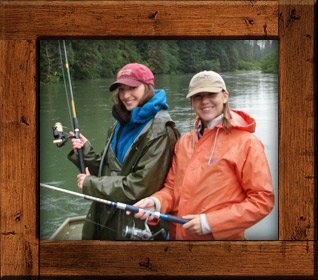 From late May through mid-September, experience world-class salmon fishing when the coho and sockeye salmon run up the Eyak River. In the fall, choose to stay with us while you go on a hunt for bear or black tail deer. Don't experience the majestic environment of Alaska, from glaciers and mountains to abundant wildlife, alone; you will want to bring your whole family. Here you can take advantage of the many hiking trails, guided deep sea fishing excursions in Prince William Sound, rafting the Sheridan River and glacier viewing, and enjoying everything this pristine location has to offer. 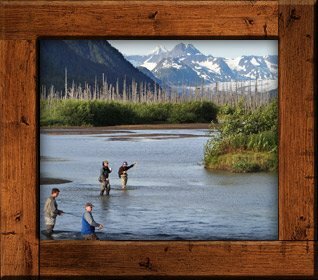 By staying at the Bears Den Cabins, you can be sure you will have the complete Alaskan experience!